In this Sunday, April 21, 2013, file photo, Maria Butina, leader of a pro-gun organization in Russia, speaks to a crowd during a rally in support of legalizing the possession of handguns in Moscow, Russia. A woman accused of being a secret agent for the Russian government has likely taken a plea deal, prosecutors indicated Monday in a court filing that said her case has been "resolved." The information was included in a filing in the case against Maria Butina. Federal prosecutors and Butina's lawyer filed a joint motion asking to change her plea. A hearing has been scheduled for Wednesday afternoon. The documents did not provide details about the resolution. 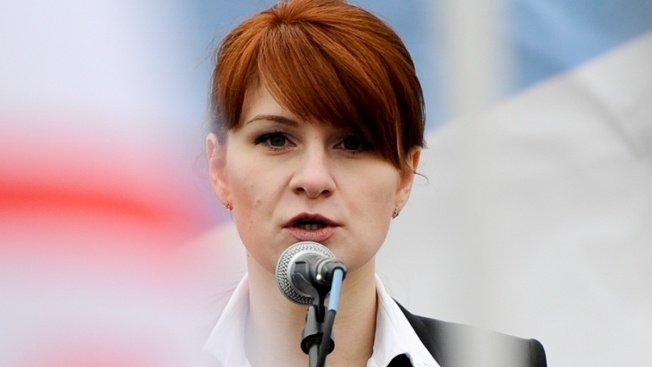 However, for several weeks, prosecutors and Butina's lawyer have indicated in court papers that they were negotiating and may have been nearing a plea deal.